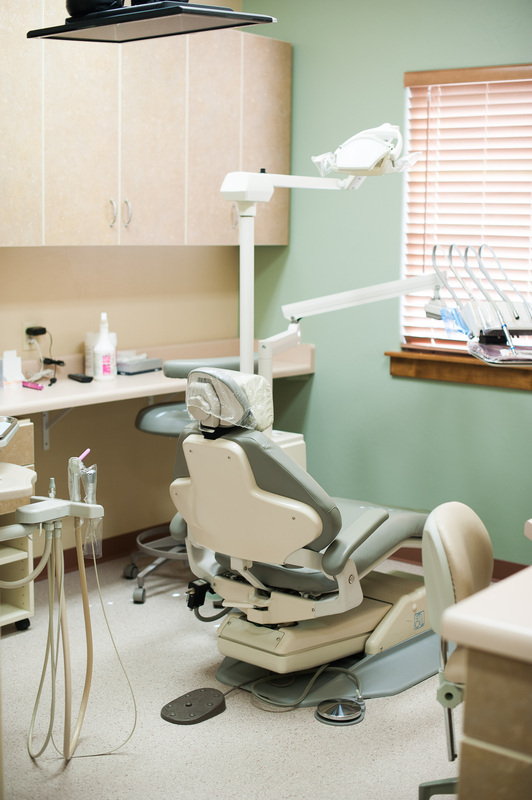 The comprehensive exam includes an Oral Cancer Screening, Periodontal Examination, and Caries Examination. Oral Cancer Examination: Looking in your mouth, around your gums and your tongue, the doctors and hygienist can spot tissue that is not within limits. If you are a tobacco or smokeless tobacco user, you are in primary danger of developing oral cancer. We are committed to the prevention of oral cancer through the early identification of pre-cancerous conditions, and provide oral cancer screenings at each preventative care visit. Periodontal Examination: Periodontal disease is the leading cause of tooth loss in the United States and has been linked with numerous systemic diseases. The doctors and your hygienist will examine your gum tissues and bone levels to insure that gum disease is detected in an early stage. This is the only method available to determine periodontal health. Caries Examination: The doctors will locate areas of decay (cavities) on the chewing surfaces and between your teeth. Both a clinical exam and radiographs (x-ray) findings will determine the most conservative treatment plan. These important appointments allow the doctors and hygienists to monitor your oral health and clean under your gum line where the toothbrush cannot reach. They also help promote healthy gums and teeth by removing the plaque and tartar that causes decay and gum infection, and educating you about prevention. This form of computerized radiography uses a standard dental x-ray generator as its radiation source. An intra-oral sensor that is placed in the mouth collects the image. the capabilities show our patients more meaningful pictures. The “zoom” capabilities allow our patients to view localized areas for a better understanding of their diagnosis. Digital radiography reduces radiation exposure by 80-90%! Sealants protect the chewing surfaces of the back teeth and should be applied as the child’s permanent teeth erupt. Though typically placed on children’s teeth, adult molars can also be sealed, provided a tooth does not show evidence of decay. The sealants that we have placed have been highly successful in preventing decay. Fluoride applications help to strengthen the enamel on your child’s teeth, making it more difficult for cavities to begin. Children should be receiving fluoride treatment every 6 months. Adults should also receive fluoride treatment if they are prone to cavities, or have root recession. It can also help with some sensitivity.